While I do admit that I haven't been good 100% of the time, I have tried really, really hard to be a good girl this year! 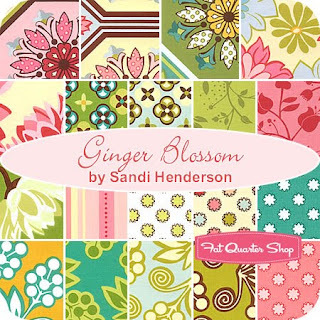 I truly believe that a fat quarter bundle of "Ginger Blossom" from the Fat Quarter Shop would keep me busy and out of mischief for quite a while in 2010! Ooooh... the things I could make with this: Crossing all my fingers and toes and hoping I haven't quite made it onto your naughty list this year!